The 2013 hurricane season is upon us and with it the usual spate of hurricane predictions. Most forecasts will call for an active, above average season in 2013, due to factors such as warm sea surface temperatures (SSTs) and the lack of El Niño. 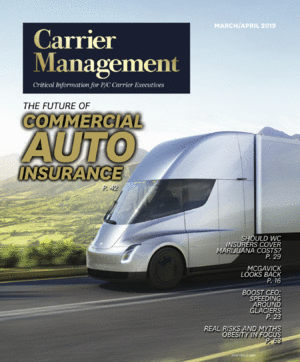 Seasonal hurricane forecasts are often inaccurate and give limited information to carrier CEOs, according to catastrophe modeling pioneer, Karen Clark, who also advises that PMLs can give a false sense of security—allowing carrier management teams to miss exposure concentrations that could result in solvency-impairing events. But how useful is this information for insurance executives? And what information may be more valuable in planning for and managing the risk of large hurricane losses? Over the past several years, organizations such as Colorado State University, Tropical Storm Risk, and the National Oceanic and Atmospheric Administration (NOAA) have produced North Atlantic tropical storm forecasts. These seasonal forecasts can come out as early as December of the preceding year and are typically updated in April or May and then again in June and August. The forecasts are usually similar because they are based on the same data and climatological factors.